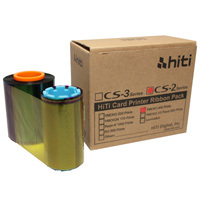 Works with the Hiti CS-220e and CS-200e Dye-Sub ID Card Printers and other thermal dye-sublimation printers. 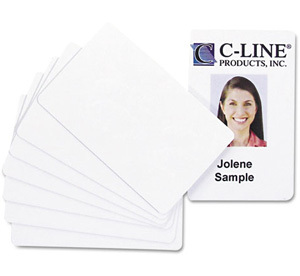 Perfect for creating ID badges in-house. 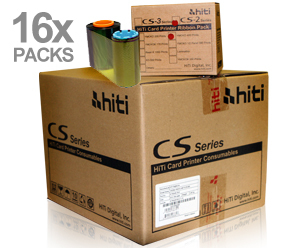 These durable, graphics-quality cards stand up to everyday use. YMCKO (Ribbon only) All 16 packs yield a total of 6400 images.